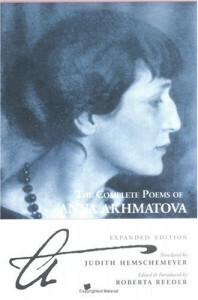 Don't have anything terribly profound to say about Akhmatova. Overall, the collection here merits three stars. I find that I prefer her earlier stuff, pre-Revolution and from the early '20s (before Stalin solidified his control), but there are some very affecting stuff from the period when her son was in a gulag (I'm thinking here, though I can't remember the specific poem, of the image of the women waiting in line to hear news of their husbands, lovers, sons, etc.). On the little white windowsill. From joy and from tranquility. And the heart shatters to pieces with love. To the slow languor of voluptuousness. And the earth like coal and granite. Doesn't sing, but yells, yells. Not a single leaf rustles. Was this why I kissed you? Was this why I tormented myself, loving?